So its time to spruce up the house. Spent last weekend and this weekend painting, I used to do this each spring but didn’t have time last few years, so this year, was major. 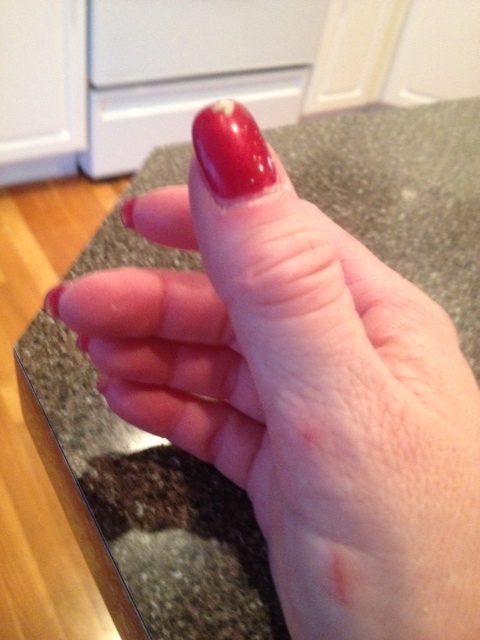 My hands are sore and swollen. That will be gone by morning. I used running strategy to keep pushing through it. As I’m coming out of Lowe’s with what else, more paint, Friday night, I saw that my long lost friend from high school sent me a message on Facebook. Wow! I tried to find her before but with no luck. She and I were inseparable back then. 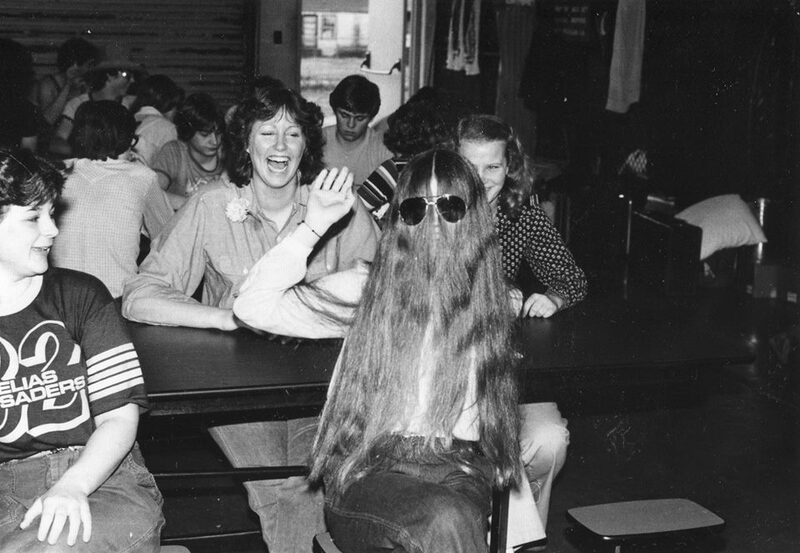 Mary in background laughing and me with hair combed forward. High school band trip to Mardi Gras parades where we took first place. Little high school from JC, MO. 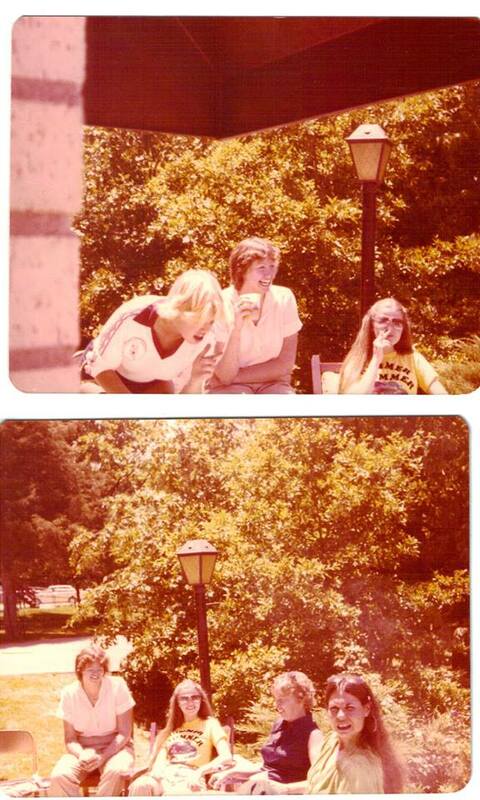 Here’s a picture Mary sent me this weekend – at her high school graduation party – I’m in yellow shirt. Fun times. I quit smoking 22 years ago. Picture taken 1979. Those were such great times! 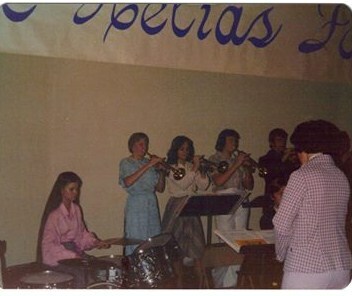 My freshman year as a drummer in the Helias High Marching Band. 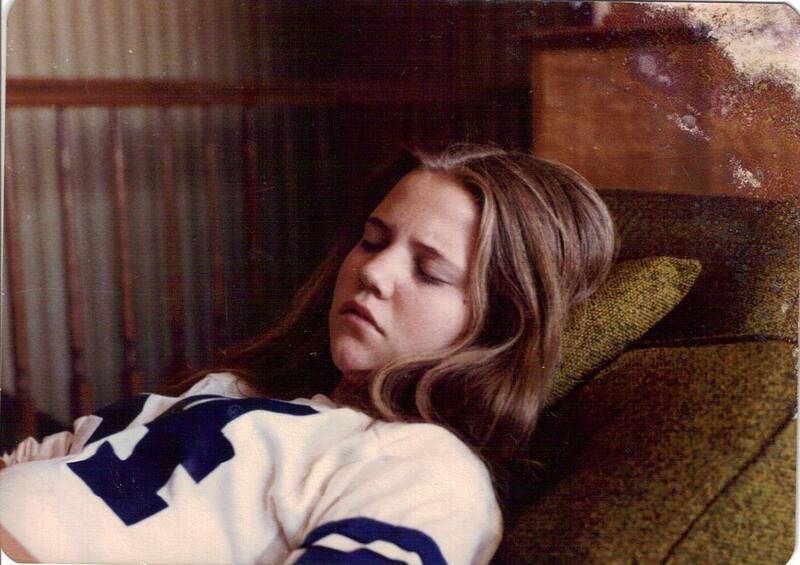 Mary also sent this one of me snoozing – band wore me out. 6:30- practice every morning. I loved it though. Playing the drums for our high school stage band. 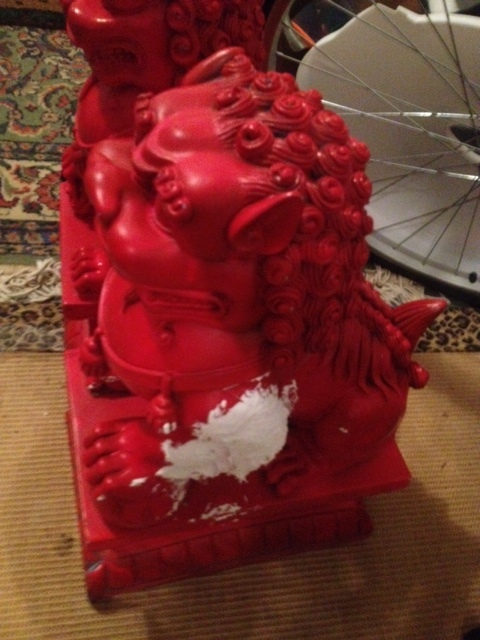 So, I started the morning out repairing my poor Chinese dragons that sit on our front porch. They were broken last year and as before, I put them back together usually with super glue, spray paint bright red and then return them to their posts. 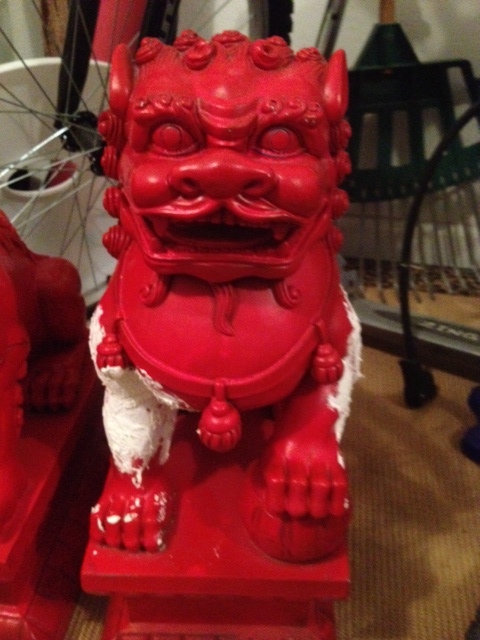 Wounded Chinese dragon getting a quick fix. This year the breakage was more extensive, so I used a combination of spackeling and wire. Will sand and paint – they will look like new…from a distance. It takes us about a month to get ready for spring and summer. We go through a process of assessing how things weathered the winter. Then clean up, repair and then get the flowers and plants out. Always feels good to be getting close to spring. So I started back to the gym coupled with some running. The last visit was tough. I did jumping jacks and then added weights to the exercise among other things. Doing okay and figure I will really kick it into gear this week. Just as we get our house in order, I have to get my self ready for a big running year. Glad I kicked that smoking habit long ago. Wouldn’t be able to do too much running otherwise. What is your training regimen and do you train year round or seasonal? This entry was posted in Training. Tagged High School, Running. Previous Post Previous post: Off and Running! I should continue training year round. Just have such a hard time with the extreme cold. Maybe next year will push through.